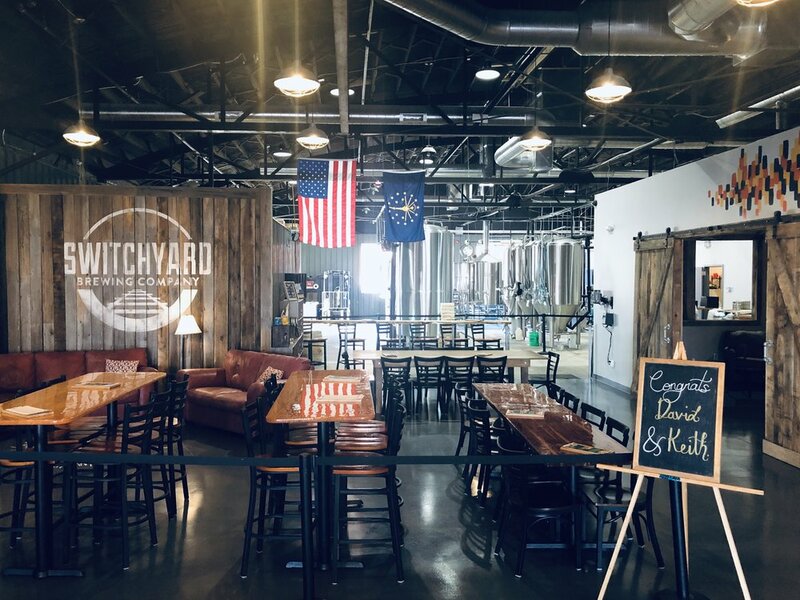 We've designed Switchyard to be one of the best venues for private events in Bloomington! Located inside of our architecturally stunning downtown brewery, each of our event spaces has a unique and distinctive feel. From daytime team meetings to rehearsal dinners and retirement parties, our private events team will work with you to create an experience that is memorable and fun! Looking for a place to meet with your team for a couple of hours? 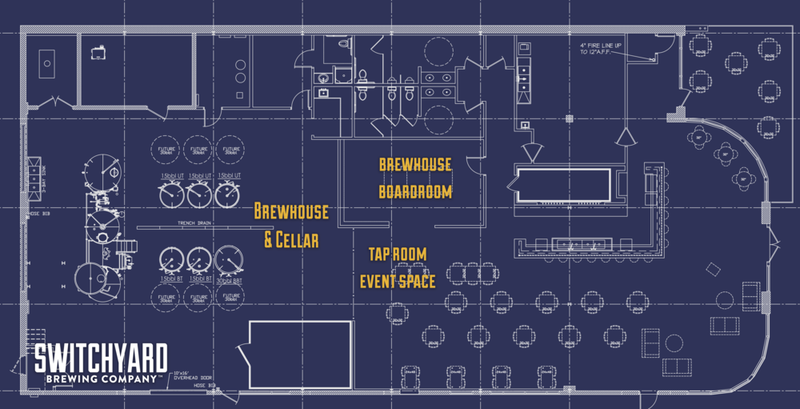 Our Brewhouse Boardroom can be reserved for free, for two hours, Monday thru Friday 8 am - 4 pm. The Boardroom is complete with tablet/laptop streaming TV capabilities, a giant white board, Gigabit Wifi, and views of our production facility. We have snacks available for purchase in the tap room along with soda for designated drivers & non-alcoholic drinkers. We have a food truck outside the tap room every day of the week that you are welcome to use. You are also welcome to cater in food, however if you do we ask that the serving ware is recyclable or compostable to contribute to our zero landfill mission. Any group can reserve the boardroom between 8AM - 4 PM completely free by clicking the "Inquire Now" button below. Need to collaborate with your group or hold a private meeting with your team? Our Brewhouse Boardroom features a large LCD TV and white boards painted on the walls! We open at 8am to welcome other entrepreneurs, designers, coders, creatives and community groups to use our space featuring blazing fast gigibit WiFi. The best part? During the work day, you can reserve this space for two hours absolutely free of charge. ($25 per hour after two hours between 8-4). Click here to reserve this space. This room is available for a nominal charge after 4:00 PM and on the weekends. Your reservation can be booked right here through our website. Ideal for group projects, fantasy football draft parties, bridal showers, retirement or birthday celebrations, or team gatherings. When combined with one of our other event spaces, this versatile space can accommodate receptions for up to 100 guests. Events after 4PM & Weekends: 2 Hour minimum flexible availability, deposit required. Ideal for receptions, philanthropic silent auctions, award ceremonies, staff appreciation and more! 3 Hour minimum, flexible availability, deposit required. Our tap room can be divided to be combined with our brewhouse board room, or can be booked as a total brewery reservation for a large private event. The 1920's International Harvester style building features exposed brick walls, concrete floor, high ceiling, and vintage furniture that gives the space a cozy, industrial feel. Events after 6PM & Weekends: 4 Hour minimum flexible availability, deposit required.